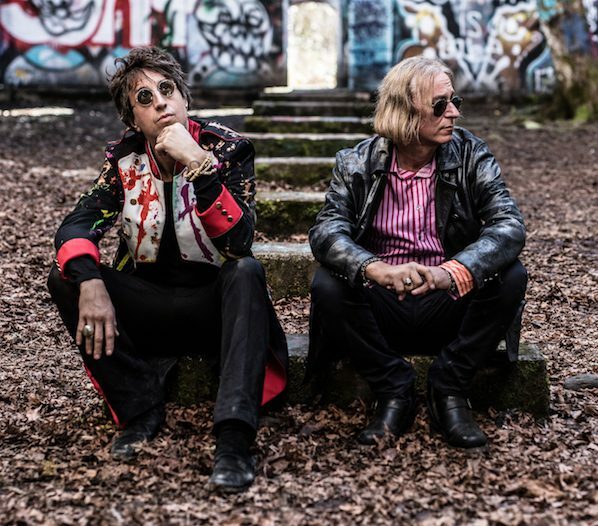 Singer / Songwriter and fine artist Joseph Arthur and former REM guitarist Peter Buck are a couple of guys who don’t need a little blog like The ‘Gig to give them press, because they are both hugely successful in their own rights. But this space is never about obligation, but rather it is about what is desired in the moment when I go hunting through my ridiculously clogged in-box to pick out your Sunday Jam. Because I love Jospeh Arthur to pieces, and R.E.M. were a band of immeasurable importance to me back in my college days, so it is my pleasure to turn you on to their new thing, Arthur Buck, and the paisley-powered-powered video for “Are You Electrified?”, which is all kinds of crazy great. In addition to live-action footage of Joe and Peter, the video also feature Joe’s original artwork! Arthur Buck will be released on June 15th, 2018 via New West Records. Enjoy!